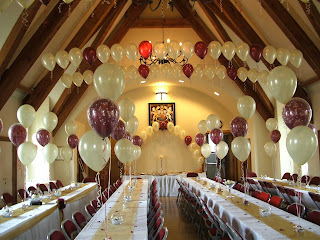 The Brownsword Hall is a beautiful, unique Hall available for hire to the local community as well as for private or commercial events, wedding receptions, funerals, adult and children's parties, conferences and meetings. The traditional design, reminiscent of old Cotswold Market Halls, has made the Brownsword Hall a popular landmark in the heart of Pummery Square, and is an ideal venue for that special occasion. With a capacity of 80 seated at tables or over 100 for an informal buffet and with a fully equipped kitchen, the Brownsword Hall provides an attractive, cost-effective and welcoming location. The Hall is also an inspiring and memorable location for business meetings. We will be holding an Open Day in the Brownsword Hall on 23rd March, which is a free event to showcase the Hall and the clubs and classes that are open to members of the public. 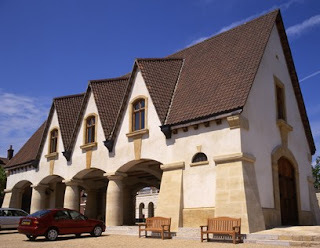 There will be a slide show of past and present Poundbury plus demonstrations to watch. Complimentary refreshments will be served and everyone if welcome. We are delighted to be chosen as the home for a series of painted panels representing the Bayeux Tapestry created by local artist Dorothy Boyeson. If you would like to view the panels, please contact our Bookings Officer who can make arrangement when the hall is not in use. There are Classes and Clubs that meet regularly in the Brownsword Hall, click on the page link to see timing and contact details.